Billund- Oslo. Short and cheap one hour flight. New 737-800 with sky interior friendly crew. 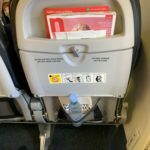 Norwegian allows you to select seats for free at check-in machines if they haven't been pre-booked by others - we were able to select emergency exit seats. No inflight service but wasn't expected. In-flight entertainment consisted of some cartoons and travel advertisements displayed on nice overhead screens. TRD-BGO. 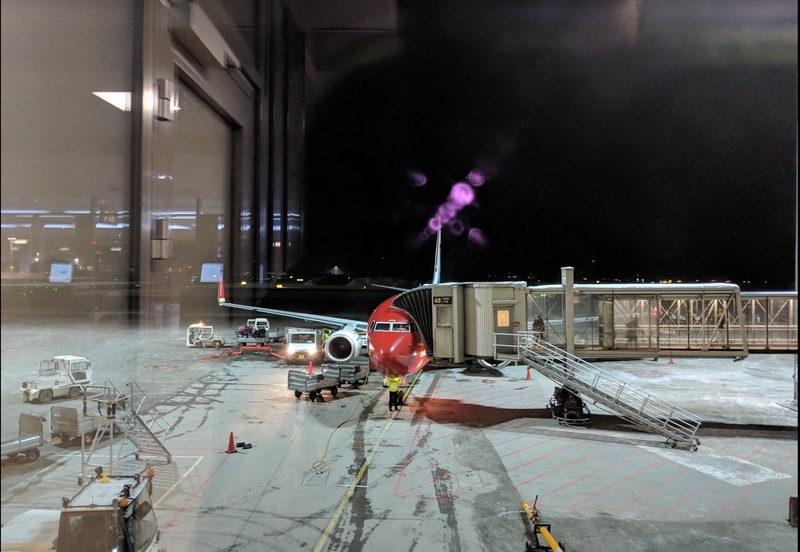 Was met with rather bad customer care at Trondheim Airport with only a few seats available outside the gate while a large empty area was closed. This required over 100 passengers to stand for a long time while waiting for boarding but I guess that's airport staff not Norwegians fault. Short 50-minute flight on a new clean Boeing 737-800. FAs smiling and professional. Seats more than fine for a short flight with decent leg-room even though I'm 193 cm tall. Free onboard Wifi is a very cool feature. Nothing served or for sale but honestly you dont need it for such a short flight. Very good for a low-cost carrier compared to Ryanair it's a different world! OSL-ATH was on an old and dirty B737. Departure was on time. Seats do not recline we paid to select seats on the first row but even there the space was not enough for our feet. No IFE if you flown on B737-800 you will get WiFi. Staff unfriendly. Flown Norwegian plenty over the years. Last flight OSL-LGW return. Very old aircraft flying out no Wi-Fi worn down 737. Polite but slightly annoyed stewardesses on this flight. On return new 737 with Wi-Fi that hardly worked at all. They better get this thing working if they want to promote it so heavily. Expensive food hardly worth the money. Nice chairs usually new aircraft with decent legroom. Good for a low cost carrier. 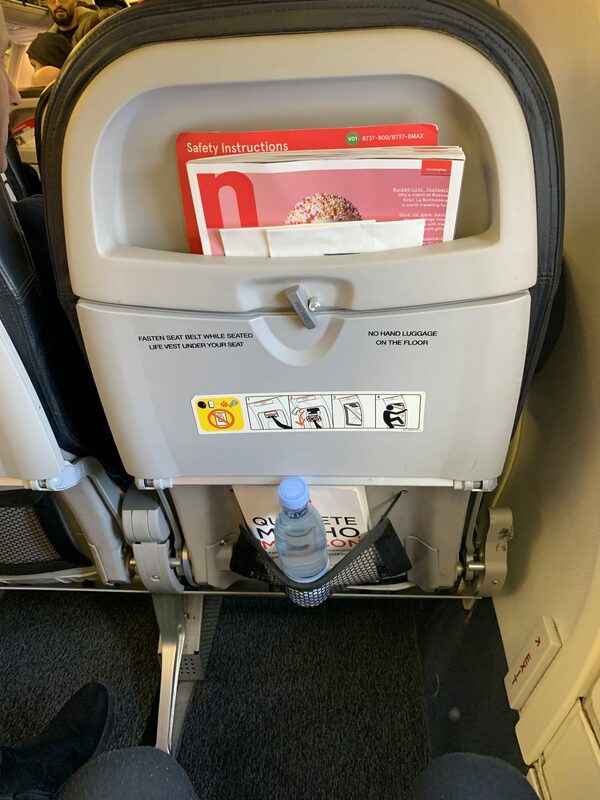 I normally like travelling with Norwegian ok price good comfort good flight times flying to and from centrally located airports etc. But yesterdays trip from Budapest to Stockholm did not live up to my expectations. Check in at Budapest airport was a mess. No organized queuing system waiting almost two hour for check in just to get a seating (we had just hand luggage). No online or automatic check in. And the very much advertised free Wi-Fi on-board did not work this time. July CPH-FCO-CPH in a B-737. Clean cabin comfortable seats with good leg room for a person of medium height. Cabin crew sufficiently polite and effective - considering the budget flight context - food and drinks are on the expensive side but then again catering was never 'cheap' even the days of complimentary meals! 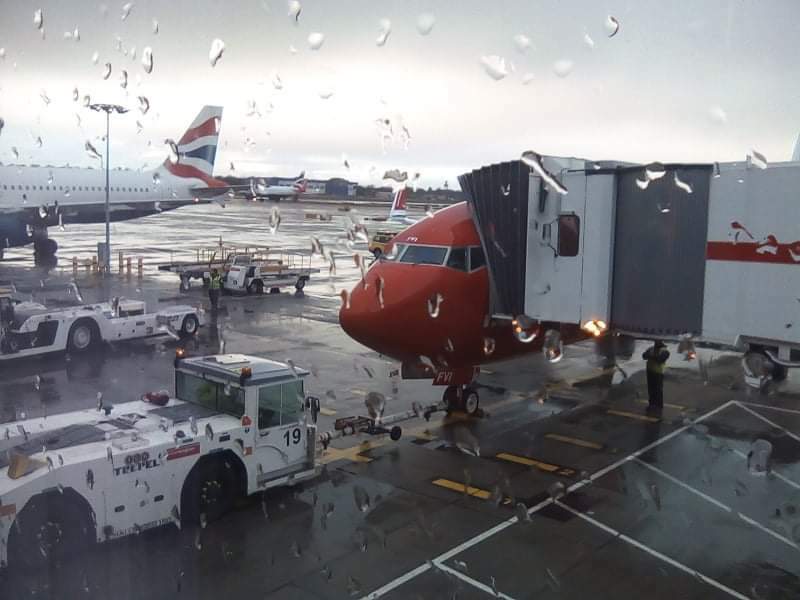 Boarding was slow due to passengers with oversized hand baggage often needing help with stowing it in the overhead compartments! Norwegian should tighten their hand baggage policy. Otherwise: a very favourable first impression of Norwegian! HEL-STO June 3rd. Check in machines were not all working at Helsinki Airport so I had to go into the full process before the screen tells me to go and check in with the nearest agent. The flight departed with a 30 min. delay. The flight was full but the seats were comfortable the interior cabin was nicely decorated - all seats were dark blue leather. No meals you have to purchase everything but still I believe it is the Best Low cost flight I have had. CPH-PMI June 2012 with new B737-800. 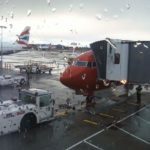 We often fly with Norwegian and have never been disappointed. Nice crew and good information from cockpit during flight. New aircraft's most of them with WiFi. God legroom. Food and drinks onboard is expensive but not more than any other airline. I think Norwegian is the best choice in Europe. Antalya-Oslo-Bergen return. The plane interior was good the seats wide enough and the flight personnel kind. But on the 4 hours and 15 minutes flight from Antalya to Oslo even water was not served as a refreshment. You have to pay for all refreshments and food. Secondly ground staff in both Oslo and Bergen were ignorant and unhelpful. They sold me a ticket in which the connection time was only 1 hour from international to domestic. 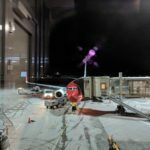 In Oslo airport I had to pick up my baggage after the international flight because of regulations and check in again there was a very long quake in domestic check in and staff did not help at all. Finally a passenger behind me from argued with them and they helped. In Bergen on the return flight they insisted that I check in via the kiosk. London Gatwick to Ålesund return. On the way out had the pleasure of flying on the new Boeing Sky Interior on a 737-800. Massively comfortable seating ample legroom and nice clean seats and seatbacks. Cabin could reproduce sunrise effect with mood lighting and effective and new overhead bins. On the way back also a 737-800 with normal interior quite grotty and ugly cabin but seat comfort and legroom were ample. On both flights a variety of amusing and entertaining short films were shown on the overhead screens. WIFI on both flights was useful but could suffer from extreme slowness. Food and beverages available to buy on board were extraordinarily expensive therefore did not purchase any. I did not use the toilets on either flight so cannot comment. Flight attendants were cold and inattentive.